This is a transcript of SYS Podcast Episode 254: Writer Sean Drummond Talks About How He Got His Latest Western, Five Fingers for Marseilles, Produced in South Africa. 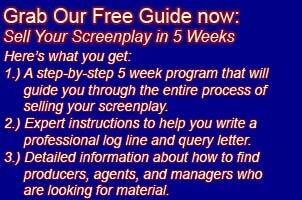 Ashley: Welcome to Episode #254 of the Selling Your Screenplay Podcast. I’m Ashley Scott Meyers, screenwriter and blogger of the www.sellingyourscreenplay.com. Today I’m interviewing South African screenwriter Shawn Drummond who just did a South African western called Five Fingers of Marseilles. The film was written for the South African market and shot in South Africa but heavily influenced by the American western film. It’s a fascinating look at a non-USA filmmaker and how he and his team were able to get their film produced. As with a lot of the filmmakers who come on this podcast it took many years and a lot of effort to bring it to fruition. Stay tuned for that interview. If you find this episode viable please help me out by giving me a review in iTunes or leaving me a comment on YouTube or retweeting the podcast on Twitter or liking or sharing it on Facebook. So now let’s get into the main segment. Today I am interviewing South African screenwriter Sean Drummond. Here is the interview. Ashley: Welcome Sean to the Selling Your Screenplay Podcast. I really appreciate you coming on the show with me today. Sean: Hey Ashley, thanks for having me. Glad to be here. Ashley: So to start out, maybe you could tell us a little but about your background. Where did you grow up and how did you get interested in the entertainment business? Sean: Sure, so I was born and raised in Cape Town, South Africa where I am now. I guess from right as a kid…my grandmother was a writer actually and so I had been interested in writing from a young age. My brother and I would make short films and we’d get to go with friends on weekends and shoot films in the back garden. We had many franchises running as 12 year olds of different films. I detoured when I left school and got into my late teens and then when I was in University I discovered writing again and found my way into a screenwriting stream and that was where I actually did a degree in screenwriting in the University of Cape Town and well I was teamed up with a lot of the creatives, so I worked with now Michael the director I work with predominantly and then a whole creative cool filmmaking group. We did a couple of films together while we were studying. We started our company Be Phat Motel right out of university off the back of a couple of big pipe dream projects. It didn’t really come together at the time but that was about 10 years ago and we’ve been running our company I think for 11 years now. That sort of brought us to where we are now. Ashley: Okay, perfect. So maybe you can just describe for us a second because I think a background of running a production company like that is such great training for moving into features and that kind of stuff. Maybe you can talk about just briefly, what is the bread and butter for a production company like that? How are you guys actually earning a living to run this thing? We realized the company would have to start turning [inaudible 00:04:47] branded content commercials, some MTV stuff and then from there we moved back into short films and now eventually back into feature films. So we’ve sort of gotten to where we wanted to be as a company in the beginning but it’s taken us a while, a sort of roundabout route to get back. I write predominantly. I make most of my living as a writer for the company and outside of the company. Ashley: I see. Perfect. So let’s dig into your latest film The Five Fingers of Marseilles. Maybe to start out you can give us a quick pitch or a logline for that film. What is that movie all about? Sean: Sure. So the film is a South African western and in Sotho language which is one of our national languages here and it’s really a modern day South African film that draws more conventions of the western but translates then into a modern South African context. It’s a story of Tau who’s in the tradition of the west and is an outlaw figure who comes back to his hometown after having run away for 20 years after a [inaudible 00:05:51] event as kids that he caused. As a kid he was part of a group called The Five Fingers who were fighting for the freedom of this township community attached to a small town in South Africa. He runs away, comes back and finds that the town has freed itself as has South Africa transitioned. But as much as it seems like everything’s changed and the town is booming, the longer he’s in the more he realizes things haven’t really changed and this town is caught in a new path of oppression and there’s a new threat. He’s really pushed to the point where he’s got to decide whether or not to get the gang back together and fight to free this town once and for all. I don’t wanna give away the ending but I think that the ending has lasting consequences and it’s a bit of an allegory in South African politics as they are today. Ashley: So, where did this idea come from? What’s sort of the genesis of this story? Sean: So Michael Matthew is the director and I guess we’ve been western fans for a long time. We also love making genre films that speak to South Africa today but it also travels and speaks to a global audience in a sort of global storytelling consciousness. The starting point for this story was that we were travelling around the country researching for another project and we started passing this tiny little town with European names like Marseilles which is obviously out of the French city Marseilles and the Barcelona and Rome and the Hamburg and the Berlin which are all these tiny towns in South Africa. We found it sort of surreal that these towns were [inaudible 00:07:38] to this epic landscape that looks a lot like the westerns that you see on the big screen. The history behind it was part of what’s most interesting because obviously South Africa has this colonial history which is tragic and barbaric and sort of really raw and still carries a lot of pain. We still feel the effects of a lot of pain. So the idea that there had been these towns to establish this sort of colonial [inaudible 00:08:09] emerges to where does it come from…Marseilles of Barcelona or Rome, they come and they have planted flags, taken land and they’ve put local people and indigenous people in the townships, put them to work railways and so on…you know the story of colonization everywhere. The idea that a lot of those old towns have sort of now crumbled into almost nothing and the townships that were attached to those towns have grown and become towns in their own right. It’s almost like a new frontier but that means going through the birthing pains of what freedom and new frontier sort of come with and we did about 5,000 miles around the country visiting these small towns and putting together the story that would become Five Fingers of Marseilles… the bones of that story. Also location scouting because I think part of that balance between being producers on the project and being the writer is knowing what you’re writing for and knowing that you will have x and x amount of budget and you wouldn’t be able to build the town out of nowhere so we’d have to find something we could shoot around, trying to find that one place that’s exactly what you’re looking for. In those 5,000 miles we found one town which is called Lady Gray and that became our Marseilles in the story and we stayed there for about a month the first time where I brought the story, did the first outlines, spent a lot of time wandering mountains, wandering streets and meeting people, listening stories because it’s one of the most cinematic places I’ve ever been. We would chat to people and we would chat the farmers and go, “This is what we’re doing, we’re doing a modern contemporary western, is there anything you can think of that would make a great location for this movie? And then, “Oh, you should go and look at the abundant railway line.” So we would follow an abundant railway line up into the mountains until we found a tunnel to nowhere essentially. Ashley: It’s interesting, I’ve heard some other European filmmakers on and now yourself an African, and you guys actually seem to understand and appreciate the American western better than most Americans. Here in the US it’s kind of a forgotten genre. Obviously Quentin Tarentino has done something to sort of revive it but it’s not something that me and my film geek friends discuss very often. I’m curious…that sort of leads me to my next question, how did you know that a South African western would travel outside of South Africa? Like how did you know that this would be something that other people would be interested in? Sean: I don’t know that you ever really know. I think you know when you believe in something and this film took us seven years to make. I think the reason we pushed it so hard for so long as we knew it worked even when people didn’t quite see it and we pitched it a lot in South Africa. It was funny because we had a lot of enthusiasm around the script and around the story but also nobody really wanted to get involved. We sort of got “we love it we don’t quite see it”, which is tough to hear but you sort of understand it because it’s almost something you can’t comprehend until you see it. We pitched it outside as well. We pitched it in the States, we came with it to New York a couple of times. We co-produced it with the company from New York called Game 7 Films. I think when we pitched it the first time and had these really enthusiastic reactions in the States side then we knew that we had something that was working. We also pitched it to X,Y,Z Films [inaudible 00:12:56]. They were very enthusiastic as well. So I think we got enough positive feedback in it to believe we had something there and then sometimes you just have to swing. You have to go, “You know what, maybe it will work, maybe it won’t work, we just have to see it through because we believe in it.” It’s funny what you say about understanding the western because it feels like the western’s actually having quite a big resurgence right now. It feels like everywhere I look there’re westerns coming up. There’re are a female South African westerners even coming out now which is quite cool to have been the first in the new wave of South African westerns. But we rarely went deep into the western. We watched the plastic westerns, spaghetti westerns, revisioners, neo-westerns across the whole spectrum looking…obviously you wanna sort of tip your hat to films you love and there’s some unforgiving ones from time in the west, some wild bunch in there. But I think what we wanted to do was try and get into the themes of the western and really try and get to the heart and the soul of what a western is and looking at those themes of conflict because all our story is conflict. But what I love about the western is that the story is the conflict and it’s sort of such pure film story telling because it’s towards man against man and man against himself, man against the land, man against the passage of time. There’s four sort of pillars of western storytelling. We try to join each one of those and have each one of those play out in our story in a way that was really core to what the film is. I think the first draft of the script was probably a good eight, nine months. The first draft to the script was a 200 paged tone of this hugely expansive wall that was probably really badly overwritten because it was a first draft that a lot of process was distilling those 200 pages down into the final 100 paged version that we shot. Ashley: Yeah, so let’s talk about your writing process a little bit. You mentioned that you worked with a director on this who you’ve worked with before. Maybe you can talk about a little bit of that process going through this, working with a director that you’re close with, certainly he’s putting in his notes, how do you incorporate his ideas into a script. Maybe just talk about just the logistics of working through that and kind of how you guys do it. Sean: Sure, yeah. We’ve sort of worked together on this since we were at film school, so I think we have a very good understanding of the sort of stories we each like to tell and how we tell those stories. And so that first process of this 5,000 miles was really on the road talking through the story and talking through ideas as we went and then I think once we had generally in the process, once we had an understanding of what we’re trying to do I would go away and I would write and I’ll outline and I’ll treatment and I would share ideas as we go but I’d like to be on a sort of protective writing space until I feel like something is ready to share. With Five Fingers the first thing I wrote was actually the prologue which is the first 15 minutes the film happens when all the characters are kids. I wrote that and I shared it with Mike and some of the other team and said, “This is the tone of what I think we should be going for, am I on the right track?” When the feedback on this first 15 pages was super positive then I moved on to the next stage and wrote…pretty much I don’t think I shared anything until I’d written the first full draft and took notes back in on that and I have to say on this one it was actually a really easy process and we would talk about specific bits and moments in the film. But I think probably what’s in the final version of the film is 70 to 75% of what was in that first draft obviously taking into account the scaling down and the trimming of story lines that didn’t need to be there. It’s a good process. Ashley: If there’s a difference of opinion how do you guys handle that? I mean, there must be the inevitable thing where you feel strongly about one thing and he feels the opposite. How do you get through those moments? Sean: I don’t know if we’re just very accommodating collaborators but I think between the two of us and then the other two strongest creative voices when they came on board [inaudible 00:17:43] our American co-producers. And between the four of us we were really able to debate points in the story even when there were really strong disagreements and really sort of heated disagreements too because story telling is passionate and everybody and I think the industry is you wanna be working with passionate people who really care and who feel strongly about their opinions. And we would disagree, and if we couldn’t come to a resolution that everybody agreed with, Mike and I had the creative control so we would make those final decisions. But I think it’s always…you wanna be on the same page with your collaborators about the film you’re making. So I think we tried “not to go to bed angry”. We tried to agree I think because the aim was making a story that would really resonate with the most people. Usually the person who had the best, most reasonable argument won I guess, but it didn’t happen often. Ashley: So as you’re going through this process you’ve got yourself and these two other producers and then you’re director. What does that development process look like? You had your 200 paged script, did you send it out to some other people, do you have other trusted writer friends, were there other collaborators? Maybe talk about what that looks like, just your development process on this. Sean: Sure yeah. So we had quite a lot of trusted collaborators. We actually got quite a lot of coverage on the first two drafts. So we sent it out and got it covered and incorporated a couple of those notes into it and the process of rewriting I think I would sort of do…In the first couple of years I did two or three drafts a year and then as we got…we were originally meant to go into production in 2012 and it came together and fell apart. Then it was 2014, it came together and fell apart and it eventually came together in 2016. Between each of those I did one solid rewrite of it. There was a point where we were…because we were trying to finance between South Africa and the State there was a point where we tried to do a version that was drastically cut down budget wise. So I tried to do a rewrite that took out half the elements and half the characters to see if we would make it cheaper but it just didn’t work. It just didn’t have any of the depth or the layering of the version, so we scrapped that, went back to it again with the full version of the story. So yeah, that was really the process. It was getting good notes…I’ve got a trusted network of writers here and filmmakers that I reach out to and I get feedback. And then the same thing in the States. Yeah, that was it. It’s funny, I really like the process of rewriting because it is the process. Writing is rewriting and I really enjoy trying to look at something I’ve written and figured out how to make it better. It was strangely fluid. I don’t know if maybe this project was just…or we got lucky. Ashley: No, I agree. I enjoy the rewriting process too. So what’s your approach to screenplay structure, you know, Blake Snyder, Syd Field’s three act structure? Are you just more fast and loose intuitive? Maybe you can talk about that a little bit, especially with the western, I’d be curious to kind of hear how you approach the structure of this film. Sean: Yeah…this was interesting because there’re a lot of parts in it. There’s this very long prologue, there’s a classic three-act structure to it and then there’s almost quite a lank at the end. There was a time I was looking at almost this sort of a five act film where you’ve got a prologue and a [inaudible 00:21:54] with a three-act in the middle of it but then also has to function as a three-act film at the same time. I think I’m more intuitive. I think you have to know structure and you have to know rules to be able to work within the confines of what telling a story is. But I’ve always sort of believed that good story tellers intuitively know that your story needs to have characters set in and your story needs to have an event that sets something in motion. An inciting incident is telling stories round the campfire your story has to have a character, something that sets the story of an inciting incident and has to twist and turn and has to resolve itself. So I outline a lot and I like to write from characters. What I normally do as part of my process is I will write character bios that become these very long, pages long sort of stream of consciousness emotional journeys that the characters are going through the course of the film. Five Fingers, there are the Five Fingers with the title kids Tau as the lead and then four essential characters but then there’re another four or five characters who intricately are sort of entwined with them except for each one I did a very long character journey and then in my full outline it became weaving each person’s arc together into one overall arc through the film and that informed the structure. So in the long run by the way I guess it’s intuitive but film story telling follows rules for a reason, or follows structure for a reason. Ashley: So let’s talk about…and it sounds like this was an ongoing process as you were trying to raise money, you were rewriting the script and then going back and forth. But maybe you could just talk even in just broad strokes, what was your approach to actually raising the money? I know nothing about film financing in South Africa so I’d just be curious to kind of hear how something like that works. I know in Europe there’s a lot more government agencies that you can get grants through those, in the US obviously it’s all pretty much business based through the studios. But maybe you can talk about, what was your approach and just in general how the South Africa film finance works and then specifically how did it work for you guys with this film? Sean: Yeah, it’s a bit of a mixture. We don’t have as good government funding as the Europeans do, but we do have some government funding. On this film we had our national Film and Video Foundation put a portion of the budget and we got really great tax incentives. So we got just over 30% of our budget back through tax incentive. But otherwise money in South Africa is a little bit hard to come by. One of the broadcasters does invest in films. They invest generally quite a good amount of money but they turned us down three times on this because they just didn’t see it. We had long [inaudible 00:24:59] ventures with private financiers here who led us on. Ashley: [laughs] You don’t pop the champagne until the money is in the account. That’s the lesson learned. Sean: Oh my God, there’s a longer version of the story, it’s probably too long for this call but he really left us high and dry and in the end I got a phone call after two weeks of no contact when we had a crew on standby and we had been ready to go out to pre-production. But I was just [inaudible 00:25:38] because money didn’t arrive and the call basically said, “I’m so sorry my business is tanked, maybe we can do this next year [laughs].” “Okay, sure man.” So what actually happened was the bulk of the finance came out of the States and that was through [inaudible 00:26:08] Iran and some of their finance connections ended. It was amazing to us that something so South African, in South African language would capture the interest and the attention and ultimately the pockets of American financiers but it did and hopefully they’re people that we’ll work with again because I think everybody’s really happy with the film that came out. Yeah, ultimately we had some money…a little bit of private money, government money, tax money and then American equity. Ashley: And what’s the gist? What’s the gist of getting the…you said the national board of film and video or something, you got some portion of your budget. What’s the gist for getting that money? Is it just applying through some procedure, is it knowing the right people that are giving out that money? Maybe you can talk just through that a little bit. Sean: Yeah, they have a portion of money that they have every end of job is really to stimulate and develop the industry. So they have mandates, a lot of mandates around transformation of the industry. I think it looked like what’s going on in the States. It’s been an industry run by white men in South Africa. So the industry is try to shake that off to develop more filmmakers of color, a lot more female filmmakers and be a lot more inclusive. They find shots, documentaries, they find festivals as well and they find film development and production so any project can apply up to a million rand which is just under $100,000 or $1.2 I think it is now. So just under $100,000 worth of production money, which is not a huge amount of money and the smaller portion for development. It’s a fairly rigorous application process that you go through because they get a lot of applications coming in and they can only fund so many projects. This was the first film project of ours that had been funded by them. Ashley: Okay, perfect. So I always like to just wrap up the interviews by asking people what they’ve been watching recently. Are there any thing that you’ve seen TV…I know at least here in the States we’re in this golden age of TV. But any movies you’ve seen lately? Maybe just tell us those and we can maybe check those out. Sean: You know what, I’ve been watching religiously just right now it’s BoJack Horseman on Netflix. I’m a huge BoJack fan. I love it. I love the writing, I love the characterization, I just think it’s such a great TV show. I watched a film called American Animals which I don’t know if you saw and I can’t think now who directed it or who was in it, which is gonna frustrate me because there’re a couple of really good names in it. But it’s a sort of hybrid documentary feature that I just was thought was really smart, really interestingly done. It’s based on a true story about some college kids who tried to steal this really…what’s the word…Not expensive…valuable book from a university library and how the heist sort of went completely belly up and ended in disaster. But I thought American Animals was really great. I watched Black Clansmen which I actually liked a lot. I thought it was quite…it was totally quite uneven, which felt like it must have been deliberate but I felt like it veered quite wildly between something that felt quite rooted in realism and drama, but then ended up veering to this almost Flaxportations sort of scenes and moments that were fun but didn’t feel like they quite came from the same film. I really enjoyed the watch but I thought there were a couple of moments where I sort of raised an eyebrow. I thought that that was an interesting decision. Ashley: Perfect. Good recommendations. So do you know what the release schedule for Five Fingers of Marseilles is gonna be? Do you know when it’s gonna be released and how it’s gonna be released? Sean: Yeah, so we’ve actually done a few theaters in the States so far. We’ve done screenings, we’ve done a couple of weeks in New York and LA, Atlanta, we’ve been in Texas, we’ve been in Arizona, we were in Tucson, I think we’ve been in Houston and maybe Dallas. The theatrical I think is coming to a close over the next couple of weeks but weeks but we’ve got a big digital…like fully wired digital is coming up on the 23rd of October, which we [inaudible 00:30:50]. What’s been great is we’ve been getting amazing reviews. The Wall Street Channel, New York Times, LA Times have really, really come out and praised the film which is super exciting for us. So I think we have been able to make a big impact. I know we’re on Amazon, iTunes and other digital platforms nationwide. Ashley: Perfect. What’s the best way for people to keep up with what you’re doing, Twitter, Facebook, a blog, anything you’re comfortable sharing I will round up and put in the show notes. Sean: Yeah, we’ve got…our company’s got a website www.bephatmotel.com which is P-H-A-T M-O-T-E-L. Five Fingers of Marseilles has a Facebook page…we’ve got a short film called the Apocalypse Now Now, which is out as well and that’s a proof of concept for a feature that we’re in development with right now based on a book, a South African book by an author called Charlie Human and that’s just the steep dark supernatural dive into an underbelly of Cape Town that nobody’s seen before but you can actually go on Facebook Apocalypse Now Now. Now Now is a very South African way of saying “a little bit later on”. So it’s a play on Apocalypse Now. But there’s a seven minute short film you can check out there that’s also had a really great buzz and that’s probably the next big project we got coming up. Otherwise on TV shows and generally Five Fingers has been a really good kick start of a story telling machine that we hope is gonna be putting out a lot of stuff that you’ll be seeing in the next couple of years. Ashley: Perfect. Well Sean, I really appreciate your taking some time out of your day and I guess now well into your night to speak with me. Sean: Yeah Ashley, thanks. This has been great. Ashley: Thank you. Good luck with the film and I’ll talk to you later. On the next episode of the podcast I’m gonna be interviewing British filmmaker Jim Hosking. He just did a film called An Evening with Beverly Luff Linn with Aubrey Plaza. We talk about this film and how he got himself in a position to write and direct it. Keep an eye out for that episode next week. That’s the show, thank you for listening.